Adobe Lightroom 3 is now official and Amazon is taking pre-orders (I guess that's why this video showed up online few days ago). SAN JOSE, Calif., - June 8, 2010 - Adobe Systems Incorporated (Nasdaq:ADBE) today announced the immediate availability of Adobe(r) Photoshop(r) Lightroom(r) 3 software for Windows(r) and Macintosh, the essential digital photography workflow solution that allows photographers to quickly organize, enhance and showcase their images from one application. First released as a public beta in October 2009, the final version of Lightroom 3 introduces a completely redesigned performance architecture that better handles growing image libraries and provides an unrivaled raw processing engine with noise reduction and sharpening tools to achieve the highest image quality. The 64-bit capable Lightroom 3 includes new features that optimize workflows and allow images to be shared in creative ways, including support for DSLR video files and tethered shooting on select cameras. "There have been over 600,000 downloads of the Lightroom 3 public beta, which has supplied us with a huge amount of valuable feedback from a passionate community of professional and advanced amateur photographers," said Kevin Connor, vice president of product management for Digital Imaging at Adobe. "The open dialog we have with our customers allows us to further improve Lightroom and provide the best tools they need to produce high-quality images. We're happy to see that so many people are anxiously anticipating the final release, so they can start taking advantage of all the new features they had a hand in developing." 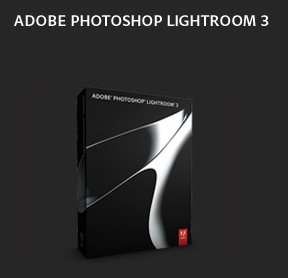 Re-built from its core to be lightening fast and responsive, Lightroom 3 adds power throughout the application to provide a fluid experience for photographers. Images load almost instantaneously, and the import experience has been redesigned to be more intuitive, with added previews and default selections that give users quick access to sort through and find images. Helping streamline and adapt to photographers' changing workflows, Lightroom 3 now allows users to import and manage DSLR video files, as well as take advantage of tethered shooting for select Nikon and Canon cameras. The estimated street price is USD $299 for new users with an upgrade price of USD$99 for qualified registered Lightroom users. Recommended system requirements are Macintosh OS X v 10.5, 10.6 with Intel(r) based processor, or Microsoft(r) Windows(r) 7, Windows Vista(r) Home Premium, Business, Ultimate, or Enterprise or Windows XP with Service Pack 3, Intel(r) Pentium(r) 4 processor, 2 GB RAM and a 1,024x768 resolution screen.